To many of us the word ‘critique’ is regarded as judgement. Why, because we all know people who are ‘critical’. We may have had critical parents, may now have critical neighbors, critical colleagues, critical friends and critical spouses. We see situations that are critical—that is, situations that need remediation and immediately so. We are trained to see critique as negative and so we are already conditioned to focus on the negative. But what if focusing constantly on the negative only increases focus on the negative? How many of us constantly focus on the bad stuff and forget the good? A good friend of mine who is one of the strongest people I know and a clinical psychologist to CEOs told me just recently that her way of helping her clients was to help them own their strengths before owning their failures. Her clients were focusing on what was going wrong in their lives and in most cases this was eating them alive. As a result their employee/staff-interactions were eating their companies alive. Her plan of attack was to have her clients talk openly about whatever they wanted to talk about. Talk always fell on the negative from both their present and their past. It was then her process to ask, ‘What good do you think came out of this?’ Usually they couldn’t focus on anything good. All they could see was that they were talking the same cr@p and she was just sitting there listening and they were only repeating: ‘my life is trash because’…. Her response was this: ‘The good I see is that you’re owning what happened and you’re talking about it, but what if I told you there’s ninety-five-percent of your life you aren’t owning yet?’ This is inspiring because my psychologist friend showed her clients how to recognize their own worth before they could solve the problems they feared were in their way. Consider this need to focus on worth in the writing field as well when you choose to be critiqued, or agree to give critique. Here’s something that happened to me: Back when I was a baby writer in the early 90’s (ten years before I sold a thing) a wonderful author/editor critiqued a chapter of my writing. She was one of the guest pros at the Surrey International Writers Conference that fall. She made my chapter bleed red and she didn’t hold back with critique, but in all that red she marked one page with a line that went from top to bottom and in the margin she wrote ‘all good’ and she told me verbally that I had already done all the hard stuff, that I had a ‘story’ she’d never seen before. She also told me I had a lot of work still to do. On my page she gave me two points of comparison and by doing that she started me out the hard but confident way to publication by giving me something to shoot for. I will never forget that kindness to help a newbie grow even though at the time she was the editor of the Magazine of Fantasy and Science Fiction. Kristine Kathryn Rusch had time for a newbie and time to show me what I could aspire to. Good critique involves a dialogue with the person you are critiquing. Face-to-face critique works best, a discussion on the phone or on a ‘messenger’ program is good too. Written critique without dialogue is not as helpful because it’s hard to gauge how something is being said. In my friend’s case their critique partner SHOUTED at her in all caps on the critique. Shouting in any manner across any medium is not a good practice. Good critique involves an attitude of ‘mindfulness’ and of listening and questioning. Revision should be a positive process leading to positive results leaving the recipient of critique uplifted, dynamic and filled with the urge to go on and conquer the work. All of us have heard of pep talks in the locker room—of rallies in the streets—these are visions of possibilities. How would it be if the coach merely said, ‘you fools are a mess and here’s everything you’re doing wrong. The more medicinal the critique, the harder the knee-jerk and the harder it is to return to the process even for a pro. When I was functioning as a Visual Arts teacher in a collaborative school for the Creative Arts, I knew I had to fight each student’s fear of being judged before I could help them create and enjoy the process of creating. So many art students begin their practice in high school by negatively self-judging their process even from the first marks they make on the page. It was my job as their teacher to coach them to create with passion not tell them what to do. I began each year by showing my new students that ‘talking about their work’ was not a bad thing but constructive and informative. New students were afraid of being ‘critiqued’ because they couldn’t see that real critique involves creative dialogue about their ‘already strengths’. Once they could appreciate what they’d already done well the natural step was to look at the whole. I’d tell them to put their hand up between them and the work so their hand covered only the unfinished part. ‘Look at what you already have. Imagine what lies under your hand. Knowing the good we’ve talked about, what’s behind there that you haven’t yet seen?’ This is the vision of their own possibilities–giving a person free rein to imagine and then bring to life a vision they hadn’t thought of a minute earlier. This kind of critique opens doors to want more. Sometimes it took minutes of silence, but I never had a kid tell me they didn’t see anything. I adored seeing the look of surprise and passion that would cross their faces when they could ‘see’ what they envisioned under their hand. The mind envisions and makes connections naturally as long as it is given free rein to do so, in every kind of art, including the art of living. Imagine the possibilities. The first step in quenching self-doubt. Then comes the weeding and the revision if necessary, rather than wanting to rip everything out and start again. All it took was their mentor (at times a class-mate once the technique was learned) using the dialogue and the coaching and learning to coach this way themselves. All it took was dialogue about what they liked and only at the end what might need to be altered (read ‘revised’ in writing.) Now they were rousing themselves to get back to the creation and I never had any problem with them wanting to ‘talk’ about their work again either with me or their trusted peers. I deliberately stayed away from the word ‘critique’ and I told them why. We are conditioned to see ‘critique’ as negative judgement: something critical that needs immediate fixing. Every pro has stories of how they soldiered on past hundreds of rejections on the same novel, the same short story that finally somebody loved and bought, but to a person who self-judges everything, this knowledge doesn’t help. It shows them up in their own heads as the frauds their egos think they are. ‘You can’t do art. That doesn’t even look like a person. Grass is green, not orange. Writing is hard. It takes years of patience to do this well. You’re way too young to write a novel, get a real job first.’ Yada yada to all the rest. How many times have you been told something similar by people who think they’re helping you out? I ask you, how did you feel after a dose of harsh critique? How did your gut feel? How did your heart feel? Were you excited and roused to get back to work or did it take effort to get you back there? Did you need to talk to a friend, a spouse, a writing partner? I was glad my friend came to me, trusting that what they needed was the coaching to get back to their power. Only after a good dose of ‘hey, what do you think you are already doing right? What do you know? What did you like?’ got my friend back to work. Talking about it got them to take a second look at the bitter critique and weed it for some useful information. They didn’t need an excavator for their story, they needed a careful gardener’s glove. I’ve set critiques aside for months before I went back to dig out a nugget of truth. It takes self-worth to be able to do this. I have been blessed with mentors and support partners (not all of them writers or visual artists) who know how do critique like the masters they are. What about you? Do you have some horror stories you’d like to tell? Do you have some stories of helpful wisdom in the critiquing department? Do tell. I’m all ears. In my next post I talk about how to keep going in a sea of advice from well meaning friends, from beta readers and from editors once you sell something. I’ll also suggest other ways to critique well. I’ll give you a few more attack skills on how to avoid being cowed by critique in all areas of life and some wonderful thoughts from other great authors out there. I hope you come back. I had the pleasure last year of being included in this wonderful anthology of Authors and editors who have been published by Fiction River and who do not live inside the borders of the USA. Some of us are American citizens living abroad and others like me have nationality outside the US (I’m Canadian) but write professionally in American publications as well as Canadian ones. Before I go on to say what’s next for me this year I feel obliged to say where I went in 2017 as this bears a lot on 2018. 2017 has been the most successful year for me publication-wise. I had nine pieces of short fiction professionally published and many thanks to the editors of Fiction River for including my work in four of these. I completed a 120,000 word Mythic Fantasy novel called Daughter of Stones, Father of Stars. I was involved in three story bundles and am currently at work on stories for two more of these. One of these bundles is dear to my heart as the money this bundle earns will go entirely to charity. Stars in the Darkness: Stories of Wisdom, Justice and Love. Also in 2017, I traveled extensively, several times to the US for conferences, to France (where I broke my wrist in Carcassonne–trust me don’t fight with a castle, it will win every time) to England and to the Riviera Maya. All excellent places to gain experience for story, though some experience was a little over the top. (see snapped radius), though even this has been a learning experience in working with my non-dominant hand. I had some serious issues with this website, and was unable to blog for a number of months, just long enough to let my wrist heal and get some much needed writing done, but now I am ready to blog again and will start out the year with a tremendous series of interviews with cover artist and writer Alexandra Brandt. I came to understand also in 2017 that if I hope to up my production, I need to have a better manner of planning forward, thus I spent a deal of time looking at good ways of outlining. Two books were exceptionally helpful: Save the Cat’ by Blake Snyder and the amusing ‘How to Write a Novel Using the Snowflake Method’ by Randy Ingermanson. Both books showed me that outlining does not have to be tedious and can help a novelist develop a process of structure that can avoid a lot of backtracking and redrafting during the revision process. As a short fiction writer now working her way into the long fiction market, I am excited by the possibilities this opens for me this year. So what’s next? According to my calendar, a whole bunch of short fiction and at least three manuscripts this year. So how do I plan to write three manuscripts this year. Answer is one word at a time, but also by getting out of my own way (blog post on that to come). My plans are to finish my final revisions on my fantasy novel Daughter of Stones, Father of Stars by the end of this month and get it sent to the editors who have requested a read. I have defined my work process on a calendar so I know what and where my deadlines are (subject of course to unavoidable disruptions–see broken wrist.) Some of what I put on my calendar are personal writing deadlines. Some are deadlines structured by editors and others are defined by travel and family time. Making deadlines is an amazing way to see on a board how much potential there is in a year to complete work. So, how are you planning out your coming writing year and do you feel you had success in 2017? I would be interested in hearing of some of the things that are working for you in your what’s next. So, dare I mention Hannibal Lecter? What is it about such a name that already raises the hairs at the nape of your neck? What antagonists do you remember the most? Were their names original to you? What was it about them that makes them memorable? Were there grey areas to their character that made them memorable, believable and even admirable and how did their names convey such a thing to you? How do you find a name that makes your reader both fear and yet uncomfortably understand the antagonist of your story? Here’s a hint: it might be one-syllable or a many-syllable one, but it should never be one-dimensional. How do you go about this very important naming of names? Over the past few weeks I’ve been revising a big book fantasy and in the process, I established a marker name for my antagonist: a name I will not disclose as it was simply a name to mark the place. Often names come to me before the character’s story, but this guy is old and his name is not his own but the one his legend has given him. In late April I went on a road trip to the FutureScapes workshop in Utah, where I had the first few pages of my manuscript work shopped by some of the best minds in the business. A wonderful New York Times bestselling author mentioned in her critique that my antagonist’s name sounded like something that might belong to a cartoon villain. Ouch, was my initial thought, but my critiquing author was right. even as a marker the wrong name had to go. I didn’t want a comic antagonist. My antagonist is a complex being–no Gargamel. My antagonist battles soul-devouring demons. He steals bodies to keep himself alive, sort of like a ghoul. But he was a good dude once and somewhere deep inside of him there’s a terrible struggle. He does horrible things for what he believes is a good purpose. He loves so deeply he is willing to do just about anything to reclaim that love and also the innocent delight it once inspired in him. In short, he has a goal and it isn’t revenge. Oh and there are demons and dragons involved in this plan, did I mention that? I already knew that to write a good antagonist he can’t be just a really evil dude. They have to have redeeming characteristics. S what about that name? Something that inspires a kind of cultural fear, yet sounds kind of awesome as well? You could so have gone to school with a guy called Hannibal, right? After all the historical Carthaginian commander Hannibal caught the Romans off guard by crossing the Alps on an elephant. Awesome, right? And Lecter? That sounds like something you could stand right up to and give a speech. Come to think of it it also sounds like a corpse. See ‘lich’, which is Old English for ‘corpse’. Hannibal Lecter is just the perfect name in both sound and person. What resulted for me was a very long and interesting search on the internet for words that typified a number of emotions. Words for terror. Words for ghost, demon, soul-thief, revenant. This search went into many cultures, most of them of indigenous flavour, since there is an indigenous context to this fantasy. I needed a name that sends shivers and that grew up around around my antagonist’s legend. I already had the name he was born with: the ‘Tom Riddle’ backstory to the ‘Voldemort’, so to speak, but I needed his ‘mark.’ The sound that ‘makes’ him believable. I needed a name that spoke to my antagonist’s skin-walking nature without using that word. I say again this fruitful search was motivated by valuable critique and also by pointed and caring support from my writing community. I wanted to be strong in my choice but I needed feedback. I was willing to listen to constructive critique and act if suggestions triggered my ‘gut’. I found first readers who were writers themselves but also first readers who read a lot but don’t write. I found critiquers of an inciteful nature and readers of a professional inclination like that fabulous NYT bestselling author who wasn’t afraid to tell me my basic villain name sounded comic, not scary. I had then to decide what I wanted my readers to believe about my villain. Did I I want my reader to believe my antagonist steals bodies? Oh yes. I returned to my search. I decided I wanted a name with an ancient intonation. One with close to world-wide shiver factor. I searched a lot and ran names past friends on facebook and in my many searches for words on the internet I search came across an interesting thing. The word ‘revenant’ exists in the same form in most cultures and therefore curdles the blood with its connotation pretty much equally in most cultures. It does not stem from a single culture but most of them. Hmmm. Too vague for satisfaction. Feeling I was on the right track though, I looked farther and discovered that one slight variation of ‘Revenant’ occurs in Haitian Creole. I rolled it around on my tongue and my mind. Now yes, all of a sudden a name that felt right. Not his true name but what the world calls him in fear of what he does. Rvnan. Such a word could exist in a parallel world to ours and not seem to be stealing from a specific indigenous culture. Something that sounded like the buzz of a ritual rattle filled with bones. A name with an almost soothing hum like a hive of dangerous bees. Somebody who could lull you to sleep like a friend and then kill you for your skin. Know your characters, what their weaknesses are and also their strengths. I call Rvnan my tragic villain because I know the road that brought him to steal bodies and it was both a powerful one and a lonely one. He has no one, and he thinks that’s what he wants. Rvnan is the mirror of my protagonist. Where my protagonist is young and unskilled, Rvnan is ancient and strong. Where Rvnan has lost his heart and his empathy, my protagonist will give up everything to save a friend. Rvnan is easily capable of succeeding and I hope unpredictable enough that it should not be clear how this book will end. All the time I wrote this I wasn’t sure, so I think I might have been doing something right. I had an outline like a road map but I never knew from minute to minute if my young protagonist would survive. Remember I said Rvnan steals bodies? Now hold that thought. Oh, and if anybody has an extra book title hanging around, let me know. That needs changing too. Well, guess what, I’ve come to the conclusion that I’ve been living under the delusion that my ‘time’ came over and over and I missed golden opportunities. I berated myself for being just too blind or too hesitant to go for the gold. I think now my ‘time’ is now, and now, and now…every moment is my ‘time’. Every frikking moment is my time. Before this I was too blind to see it, too deaf to hear it, too dumb to speak it. I have to decide what I want to do with my ‘time’ and own the decision every moment without regrets. Mistakes will still happen. Successes will still happen, but at least I will be in command of the bow and my arrows of time will fly with a mind finally in command of the bowstring. The story of my heart began when I was seventeen with a lucid dream of a burning city, an epic battle, and two young men watching it burn, knowing they were responsible for it all. That one vivid scene has grown into a world of stories and four books that happen in a parallel universe on a world called Ardebrin. This world can be accessed through a gap in time called the Rift of Shadow which is the haunt of demons. My work in progress is a dark YA fantasy with demons, ghosts and a body stealing necromancer. Building such a story often takes time. Sometimes generations. You will change and the story will change and deepen with you. Stick to your guns: When a battle got hot and deadly it was important not to back down, to stay at the post against all odds. Writing the story of your heart takes that kind of determination. You will change as the story deepens. The story will change you and you will change the story. The more of you that goes into this the harder it will be. In other words: write the passion and go deep, deep, deep into your own heart until it makes you cry or laugh or cringe. Your Characters will tug at you: Let them do this. They are springing up from the unconscious need to give you their story. Your story will be deepest if you allow their opinions colour the world. Follow up on hunches they give you. A word here, an idea there will lead you to some incredible research. Sometimes uncanny enough to raise a shiver up your spine and a thought of ‘how did I know that?’ It is up to you as their creator to keep them in line as you build your books about them. Writing the story of your heart is a lot like controlling a team of strong horses. Work on other things: Start other books. Don’t be afraid to go in search of new ideas and new characters. Research comes out of strange places. Write short stories that spin off from the story of your heart. Back up your work: save it to the cloud, to other devices, to hard copy: Keep all your drafts. Keep a slush file of stuff you took out of the draft you are working on. First Drafts: Take risks. Be playful. Finish it! Finish it fast. If you don’t you will change, your ideas will change and your passion will evaporate like mist in the wind. First draft is your risk draft. It doesn’t have to be perfect. It just has to be done. Don’t let your doubts slow you down. Get going and don’t stop. Make idea files: I have a bunch of stories in progress. Some are just titles. If I get an idea I make a file for it and often something will come to me at a future date. Learn how to sell your work. Take courses from writers who are best sellers: In 1994 got serious about finishing the books I’d been dabbling at writing. By 1997 I’d written four books and a number of short stories and I began to go to conferences and seek agent representation. I revised and revised and finally got a New York Representative from a major firm in 2004. My books did not sell and I wondered why. In 2008, I began to take courses down on the Oregon Coast and as a result of working with a fabulous group of professionals I made my first pro short sale in 2010. From 1994 to 2008 I worked on my writing skills, but it took those two years from 2008 to 2010 to really hone them into something that had a professional ring. I had done all the work, I just needed the polish. Take courses from the pros. They will give you that last amazing polish you need. Read the work of other best selling and classic authors: Story in, story out. Learn from those who still sell. Read heart stories. See examples above. Seek out your own. Find passages in the work of your favourite authors and type them in just as they are. This is like a mini course from a pro. Typing in another authors work is comparable to an artist painting a copy of a great artists masterpiece. You learn invaluable information that way about technique and depth. I would love to hear about your story of the heart. How did it grab you by the scruff and not let go? Today I have the great pleasure of hosting Virginia Smith to my blog. I think Ginny’s books are an excellent example of three things that can work to inspire a reader to pick up her books for the very first time. 1. Great title. 2. Typography 3. Covers that perfectly capture the mood and variety of Ginny’s stories. Ginny is the bestselling author of thirty-one novels, an illustrated children’s book, and more than fifty articles and short stories. She writes everything from lighthearted relationship stories to breath-snatching suspense. Her books have been finalists in many international awards and two of her novels received a Holt Medallion Award of Merit. Ginny is an active inspirational speaker and is a frequent presenter at schools and conferences, and indeed it was at a writers conference where I had the pleasure of meeting Ginny and discovering her books and her clear talent for choosing great covers. Q: So, Ginny, what started you writing inspirational fiction? What obstacles did you overcome to succeed? Ginny: I’m not one of those who always knew I wanted to be a writer. I wanted to be a lawyer. Alas, I got married right out of high school, started a family, and went to school at night to study computer programming. The idea of writing a book didn’t occur to me until I was in my mid-twenties and read a story in a science fiction magazine. I thought, “That wasn’t very good. I could do better than that!” So I wrote my first short story and sent it in to Asimov’s. It was rejected in something just short of light speed. There began a long and painful lesson, that writing well is a lot harder than it looks. I collected 147 rejection letters over the next twenty years before my first professional publication, which was an inspirational novel called Just As I Am. Q: Do you have any favorite sources of inspiration? I know you write in a number of fields and what is your bliss in writing there. What keeps you writing? Ginny: I once heard a writer say, “Inspiration is everywhere. Just open your eyes.” That really irritated me, because I struggled to come up with story ideas. Now, after 32 novels (and counting), I still struggle most of the time! Oh, there have been story ideas that leaped into my head and demanded to be written, but most of the time I have to work at finding an idea that excites me. For a while I wrote murder mysteries that were inspired by setting. (And I just had to go to Cozumel, Mexico for a research trip, right?) Many of my contemporaries start with a character. And lately, I’ve been asked by publishers to write books with a specific idea in mind, a setting or a style. But I’ve learned to trust my instincts. If I can find an interesting idea about a character I can fall in love with and want to spend time with, I think I can write a story that others will want to read. Q: I’d love to hear about your newest release released just in time for the holiday season. I know you are excited about it and want to know the big idea behind it. Ginny: I’m totally in love with my latest project, a series of humorous novels set in a small Kentucky town called Goose Creek. These stories have a true ensemble cast, and the town is almost a character in its own right. The series is called Tales from the Goose Creek B&B. The first book in the series, The Most Famous Illegal Goose Creek Parade was Library Journal’s top pick of the month when it was released, and they compared it to Jan Karon’s Mitford series. I was thrilled! My latest book is the fifth set in that town and its called A Goose Creek Christmas. In that story, one of the main characters, Al, is forced into early retirement. He’s so upset by this that he decides not to tell anyone—even his wife! But no secret stays hidden in Goose Creek for long. Christmas is coming, and Al doesn’t know if he’s in for a Merry Christmas, or a Matrimonial Crisis. Q: in keeping with the topic of success in cover design, do you work with an independent cover artist for your indie work or do you do your own? Ginny: I’ve been lucky enough to work with some exceptional cover designers, both with my traditional books and my indie work. I’ve only published 2 of my own books independently, but I’ve published close to 30 for other authors. Of course, with a traditional publisher the author doesn’t have much say-so in the design of the covers, but I’m totally okay with that. Publishers employ professional artists, sales people and marketing people. I benefit from their expertise. Q: Do you have any thoughts about which of your covers has done the best job and added to your sales? Is there any way other than gut feeling that tells you a cover is doing its work? Ginny: I think the most important thing about a cover is that it represents the feel and tone of the book, not necessarily an exact representation. Several of my contemporary relationship novels depict headless girls on the cover. That’s because the reader can picture the character any way they want. I love that. It helps the reader insert themselves into the story. Q: Wow! I never knew that was the reason covers might show a headless character. Here’s me enlightened. Ginny: Of course cover design has changed with the rising popularity of eBooks. Designers have to keep in mind that a 1” cover must speak to a book buyer, so intricate scenes don’t really work. Q: Do you have any recommenations for authors wanting to republish their backlists independently? Should they be doing their own production or hiring cover artists? Ginny: Ah, I’ve helped a lot of professional authors republish their backlists. My recommendation is this: if you are technically savvy, consider doing the work yourself. Formatting a print and eBook is not brain surgery. But if there is a learning curve. If you can afford it, or if you don’t have any desire to learn the skills, then hire professionals to do the covers and formatting for you. A sloppy, amateurish book will kill any chance that a reader will purchase other books you’ve written. Thank you so much, Ginny, for visiting and sharing your books with us today. I love your covers! I think they perfectly speak to the tone and the fun of your writing within. More to come in my next blog post about how to choose a cover that works well with the writing within. Also, if you would like to be in the running for future giveaways, please contact me with your email and tell me what kinds of covers intrigue you to look in the pages to see what’s there. By day I work for a consumer product company, and even the chemists are exposed to business terminology popularized by our once-CEO A. G. Lafley that describes consumer expectations. The “First Moment of Truth” is when you are in a grocery store and your eyes catch a fancy package then you pick it up to inspect it. Any initial observations set expectations, including the weight or scent. These form a “promise” actually. Later, when you use the product, the “Second Moment of Truth” better match the promise! The same is true for books. Just as the initial few sentences form a promise to the reader (as described wonderfully in Nancy Kress’s Elements of Fiction Writing: Beginnings, Middles, and Ends), the cover sets an initial promise. What promise do you want to make to your readers? Is your book about a single character? Is the content cryptic and haunting? How can you convey this to your audience? Would you let someone else represent your work? As 2016 wraps up, with electronic books and print on demand commonplace, the cover art process is changing for the rising Self-publishing/Indie Press/and Small-Presses. Counter balancing the enormous competition in the marketplace, at least many authors can now participate in (or execute completely) the cover design. As above for Janet Morris, who is releases author cut versions, she now has control. Also, with the digital marketplace overtaking brick and mortar store sales for books (since 2014), cover design no longer need to be a full “wrap” for front and back; and there is an increased need for the cover to be perceptible at many sizes including small icons (~1”x2” as well as 6”x9”). It is fairly easy to track down professional artists and propose a commission that includes permission to press/print. Many post rates on their website. I illustrated the cover to my first book, but then decided to commission Ken Kelly (2014) and Daniel Landerman (for 2017). I detailed the Ken Kelly cover design process in detail on my blog, but I share snippets here. Spawn of Dyscrasia (2014) follows the development of a single character, Seer Helen. The sequel’s cover had to embody an emphasis on characterization, so an appropriate portraiture composition was targeted. It may seem strange to intentionally pose characters passively on the cover, but there are plenty of precedents. For example, Larry Elmore did this effectively with the original DragonlanceÒ trilogy (authored by Margaret Weis and Tracy Hickman, including: Dragons of Autumn Twilight, Dragons of Winter Night, and Dragons of Spring Dawning). Also, Frank Frazetta did this effectively with his Deathdealer character. These portraits promise books with developed characters…without showing any action. Ken Kelly has many of these, like his Death’s End and Rogue’s illustrations (the latter was the cover to the first Horseclan’s book by Robert Adams). In Spawn of Dyscrasia, the character Helen does not develop in isolation; rather she teams with the protagonist from the first book, the skeletal Lord Lysis (who is featured on the cover of Lords of Dyscrasia). Hence, Ken Kelly’s “Rogues” stood out as a good example of what I wanted: a female and male duo portrayed against a fiery scene. This notion of partnering with other artists to realize a vision/milieu is also extended to audio books. Just like connecting with cover artists is easier than ever before, we can also connect with professional voice artists to create audio books or clips for video trailers (check out the Amazon Exchange ACX). As technology evolves, there is a blending of audio-eBook (i.e., via Amazon Kindle/Audible synchronization). Here, the cover needs to match the content…and the voice needs to match both! Audio book covers have different requirement, namely that they are square. It’s amazing what a change in aspect ratio of a canvas will do to design. One may be tempted to just shrink the paper copy to fit, but that will leave a vignette view, wasting valuable space in an image that may be very tiny already as viewed online. Seth (S.E.) Lindberg lives near Cincinnati, Ohio working as a microscopist by day. Two decades of practicing chemistry, combined with a passion for the Sword & Sorcery genre, spurs him to write graphic adventure fictionalizing the alchemical humors. He co-moderates a Goodreads- Sword & Sorcery Group and invites you to participate. Sometimes Good Art Just Has To Deliver That Punch In The Face. In keeping with my posts on the companionship of visual imagery and deeply-layered story, I’m talking today on the Poldark series by Winston Graham. I am reading the Poldark books and going ahead in the story while watching the PBS drama on Masterpiece Theater. My banner image above is from the Wikipedia page of the Poldark 2015 TV series. Both the reading and the viewing are giving me that punch in the face so important in the synthesis between visual imagery and the written word. If you don’t understand what I mean by artistic punch in the face aside from the Poldarks I direct you to the art of Vincent Van Gogh, and especially his self-portraits. The story of Vincent steps off his canvas as surely as the story of Ross Poldark steps outside the words of Winston Graham into the PBS series. So what is the Punch? There was a development in this week’s episode that would have disturbed me a lot unless I’d read what happens much later in time. It’s one of those moments heroic Ross does something you think would never happen and it shows him up as a hero who is suddenly terribly, unbelievably flawed. Thus, the punch in the face to wake him (and us) up to what he’s done. As a result of reading the books I completely understand why that development had to come about both plot-wise and character-wise. I was still punched in the face along with the main character, but I knew why it happened and that says a lot. Winston Graham is an amazing writer able to submerge his reader in the depth of setting, history and character of Cornwall during the Eighteenth Century and weave all three together seamlessly. The PBS series is the cover to the text and going deeper into that text adds another dimension to one’s enjoyment of the story. The cliffhanger at the end of this week’s episode ended in a visual ‘punch’ (one character actually hits the other in the face.) This gave me a hint of what’s yet to come. It let me move as a viewer from Ross’s impulsive and regrettable action to the consequences and the very real conflicts that beset him. Yet I was so very glad I have read on in the books. The visual punch was deepened by the literary one. Being possessed of the knowledge of what happens later helped me understand that the volatility and idealism that gives Ross his charm also leads him into deep error to the point where he is willing to sacrifice love, honesty and his very future in the face of his ideals, his love and beliefs. This is a breaking point for him but I can only see this having read what comes later. Read the books! It helps, honest. The visual and scripted brilliance of the series on TV is given greater depth and greater insight by the text. Only when we read the developments that accrue through Ross’s impulsive and passionate decisions—developments that only increase the tensions and the conflicts in the plot do we understand why the shocking flaws were woven there by author Winston Graham. Elements of Ross’s passion have been shown in other impulsive actions before this but this is the first time where Graham seems to deliberately break our trust in Ross. Only by having our trust broken so severely can we understand how it feels for the ones he loves to be disillusioned by him. The punch in the face at the end of episode 7 is visceral and deeply felt. It provoked a gut response in me that had to be there. Graham’s series is brilliant and the PBS versions are equally so. The books are a wonderful look at the licentious yet honorable mores of eighteenth century Cornwall, and while the PBS series can’t possibly portray the written depth of information the imagery and the acting are gloriously rich in the series. To watch and read both provide one with the perfect synthesis between visual dynamic and authorial genius. In fact I think this is the hidden quality that makes a cover assist the content of a book, and this ‘Punch’ is what I’m going to have various guest artist/authors talk about very soon. In my opinion cover art needs to be about the reader and about the reader’s eye. Just as in film the visuals have to enlarge on the text. The difficulty here is that cover art or cinematic art needs to influence someone who may not know anything about ‘art’ at all. A book’s cover art provides an element that the reader responds to with an emotional gut reaction but may not have the words at all to define. The reader knows what they like but not why they like it. The viewer of Poldarks may love the imagery but not wholly know the elements that enrapture them. A potential reader will reach for the book without knowing what’s inside because the cover teases them to do so. Yet what amount of skill does it take to deliver that ‘tease’? What kind of punch in the face do you need to keep going? What do you think? If you have read and watched this series I’d love to hear from you which elements seem to stand out. What attracts you to a film or book and what makes you want to take it off the shelf? I have had the pleasure for the past two years of judging the finalist and runners-up for Pulp Literature’s Raven Short Fiction contest, a stunning Canadian magazine now in its fourth year of publication. I am now completing second reads before handing over my choices to the editors. Over the past few years Pulp Literature has showcased the writing of many well-known award-winning writers of genre fiction: Robert Sawyer, Susanna Kearsley, Carol Berg, C.C. Humphreys, Eileen Kernaghan, J.J. Lee, George McWhirter, Douglas Smith, Bob Thurber. Moreover their cover art is eye-catching and varied, featuring the work of many artists. A sample of Melissa Mary Duncan’s art appears on today’s header and I hope you will visit her here to see her evocative mythic-inspired work. The editors of Pulp pick their selections from two specific segments: exceptional emerging talent, and established writers and artists who wish to break out of their genre confines. Now on to my comments about judging a contest. In my previous study of anthology assemblage and providing short fiction for book bundles and anthology open calls, I have come to understand several things about catching the editors (or judge’s) eye. Subject matter: I am looking for subject that will fit the call. I am looking for a subject that treats the call in an exciting and surprising way. I am looking for pieces with a unique voice, perhaps a surprising and compelling cadence and word choice that fits the story itself like jam on bread. Length: Do not exceed word count. Did you get that? I’ll say it again. Do not exceed word count. Unless you have a well-known name and your name is already listed in large print on anthology covers. 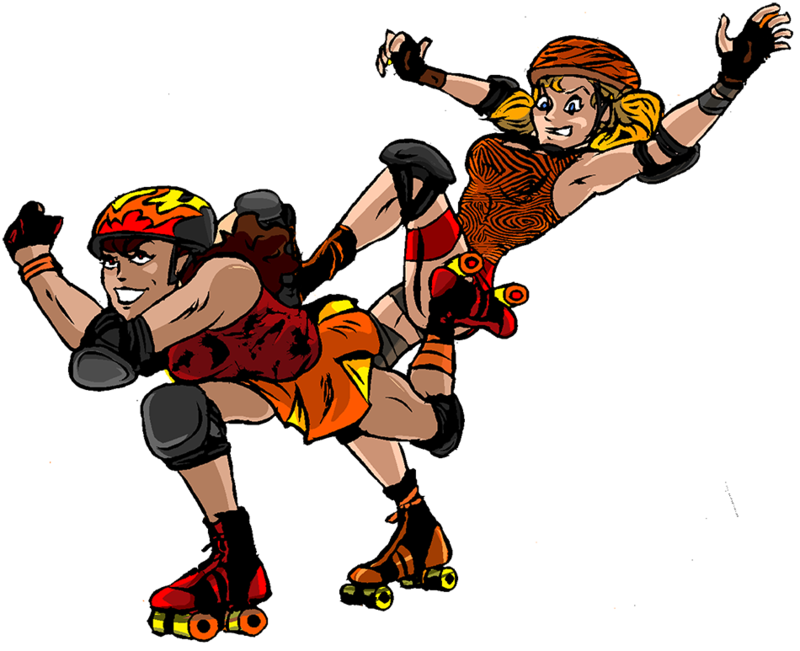 Exceeding the requested word count will bump you out of the arena for that coveted spot quicker than a newbie in a roller derby. I always consider the length of my work when I submit to an anthology open call and when submitting to a contest I do as well. As a reader or a judge I am keenly aware of the length of a piece. Many editors read millions of words of submissions every month. They read until their temples ache and they think their eyes are bleeding. Often it is easier to fit a short, tight story into an otherwise filled anthology. In my judging this year many of the finalist’s pieces were short and sweet, packing a lot of story within the bounds of only a few pages. This is not to say you shouldn’t write long, but if you do, remember it must be a grabber right from the very first line and something the (already overhwelmed) editor can not do without. Remember your longer story might mean someone else’s story can’t be fitted in due to budget and space restraints, and if the editor didn’t buy your work, this might be the very reason why they didn’t–someone else’s amazing longer story bumped yours out. Or not. It is futile to second-guess the reason you had a nice note but a pass from the editor. Better to just re-submit and keep writing. The dreaded rejection might not have anything to do with the quality of your writing. Sure it will hurt, but move on. All the stories I received to judge were well written, carefully edited and unique. I had a hard time making choices and regret not being able to choose all of them. Completion: There were some stories in the bunch that left me with a feeling either that this was part of a much larger story and therefore not complete, or I had somehow missed the ending somewhere and there was a last page missing. Please make sure your story has a beginning a middle and an end. Nora Roberts says she writes for ‘stupid people’. What she really means is make your work easy to understand and don’t disguise your meaning under the tent of ‘being literary.’ I love Gary Larson’s Far Side for this reason. Taste: this said, I love genre writing. I read everything from literary to thriller to horror to fantasy to romance to sea adventure to women’s fiction to historical. But always as I read I want story. I have personal tastes and those tastes influenced me as I read. In judging this contest, I was struck by the number of pieces that were written in first person present tense and I find myself wondering if it was the story that dictated this, or was the person and tense the challenge they set for themselves even before they began to write? Every judge has tastes. For instance, I am not a great fan of existential prose, but I adore humour. How I view the feel of a story right from the beginning will influence me and either make me want to read more or hold me back. I certainly gave every story a fair read, and as said before am now doing second reads and possibly thirds related to my top choices, but my personal tastes were there at the beginning and still present at the end. Read what you write: If you want to write short fiction then read widely in this field. Submit widely and write to challenges. The same goes for long fiction and for producing cover art. When I go to conferences I always stop into the Art Show and talk to the artists. I take cards, I visit sites and I take note of what styles of art influence me the most. Over the next few weeks I intend to interview a number of artists who also write. I plan to talk with them about styles, genres and success in their personal field and how they achieved it. The nature of success is also something to be defined. For instance, the fact that Pulp Literature is moving into its fourth year of publication is in itself a striking success, and I for one hope to see many more issues in future.